Factories are machine critical industries. Factories run on two major resources, machines and labor. 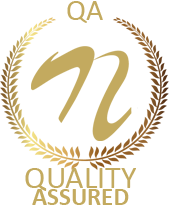 Machines need to be operated carefully since one mistake may lead to injuries or loss of life and business. Large industrial machines that run on high power are even critical since a mistake in operating it may lead to huge losses. 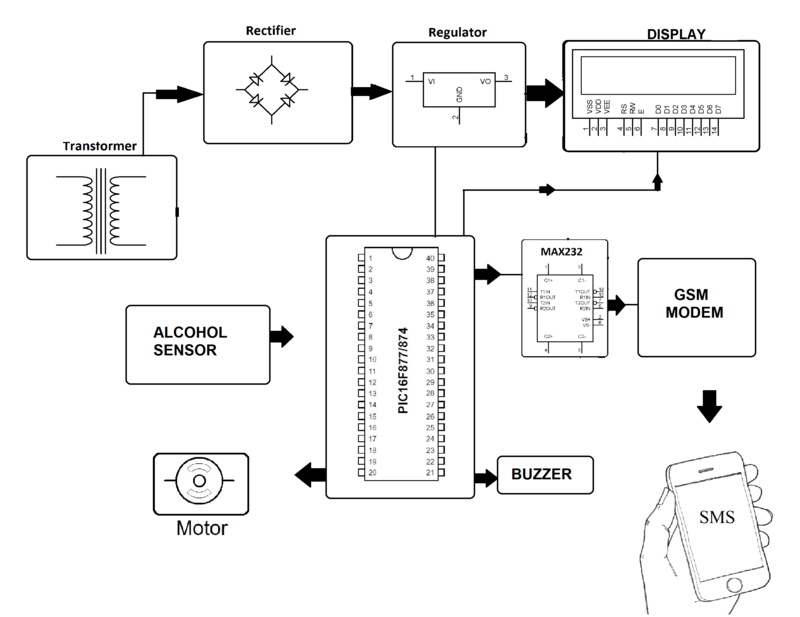 Here we propose an automated system to detect alcohol consumption of factory workers and machine shutdown with alerting system. Consumption of alcohol affects the mental state of person. A person operating heavy machines under the influence of alcohol is likely to hurt himself as well as the machine. So we use a microcontroller based circuit that consists of alcohol sensor interfaced with it. Also we have a GSM modem and LCD display. The entire system is powered by a 12V supply. The alcohol sensor is constantly running to check if worker is drunk. 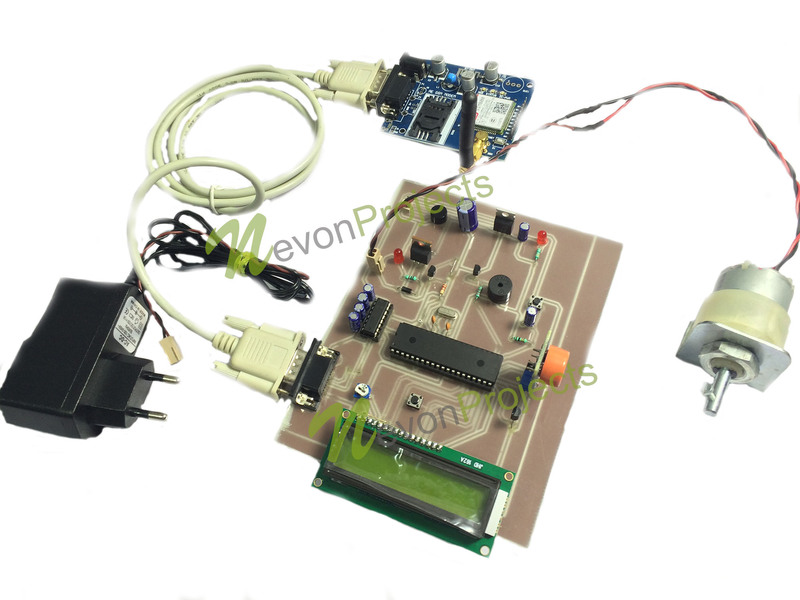 The alcohol sensor can sense the alcohol level and outputs a voltage according to the alcohol sensed. The microcontroller interfaced to it reads the value and if it is found to be above permissible range it goes into alerting mode. 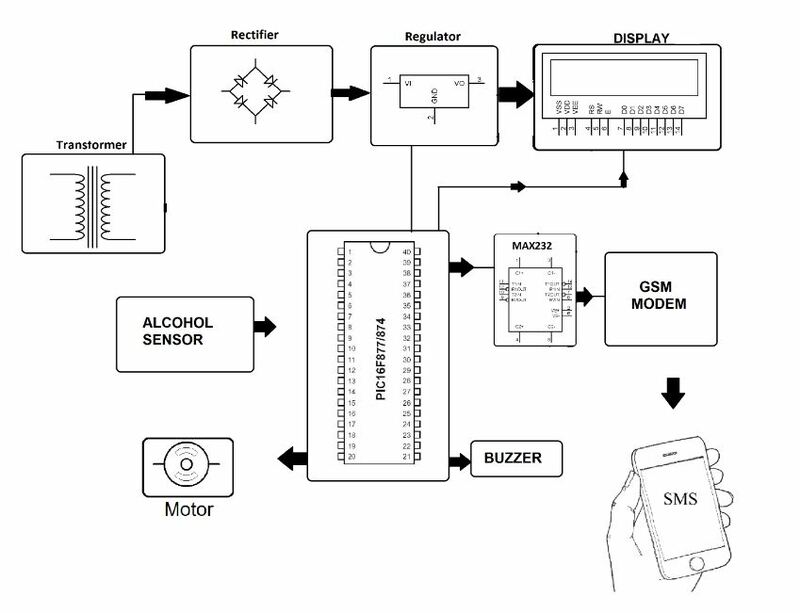 Once it enters alerting mode the microcontroller stops machine operated by the worker and displays the status of alcohol alert on LCD display. Also it sounds a buzzer to indicate the same. It now shuts down the motor used to demonstrate as the machine. Now the mishap was avoided, the system now needs to send a report to the responsible offices/owner of the industry informing about the incident. It then automatically sends an SMS message through GSM modem to the authorized number informing about the situation so that required action can be taken about it.